Are you interested in working as a travel nurse? Have you ever heard of working as a per diem nurse? What exactly is the difference between the two? We explore what it means to be a travel nurse and what it means to be a per diem nurse – and the pros and cons of both types of nursing careers. To understand what it means to work as a per diem nurse you basically just need to know that “per diem” means “by the day”. While the terms and conditions vary according to the hospital or nursing agency you work for, a per diem nurse is similar to a nurse working on call in the sense that they may be called and offered a shift simply hours before it starts. Per diem nursing also differs from being an on-call nurse because they may have been assigned a shift, or a couple of weeks of shifts, to cover a hospital’s upcoming openings due to vacation or time off in advance. A per diem nurse might also work longer or shorter hours, by being willing to come in and pick up half a shift, a full shift, a shift and a half, or even a double. Similar to how travel nurses are brought in to cover periods of increased demands such as flu season, holidays, or summer when nurses often take vacations, a per diem nurse might be hired for this type of coverage. If you love flexibility and being able to decide when and where you want to work, you might enjoy working as a per diem nurse. Just think, your nursing agency calls you and you can decide whether or not to accept a shift. You also might be offered many holiday shifts, in which you can earn that sweet time and a half, double time, or even more in certain instances. What are the Advantages of Per Diem Nursing? Nurses choose when and where they want to work. Per diem nurses can decline a shift if they don’t feel like working. Per diem nurses work on a temporary basis through hospitals or agencies. Nurses working per diem can earn higher salaries than the regular staff nurses they work next to. Per diem nursing allows you to be more available for your family and children. When working as a per diem nurse, you are not tied or obligated to a specific work schedule. Per diem nurses are not required to work a holiday or a weekend – ever. What are the Disadvantages of Working as a Per Diem Nurse? Per diem nurses do not receive job benefits. Sometimes there is less of a need for per diem nurses. Per diem nurses may have to go a week or two without work. Financial strain can result if there is no other source of benefits or income for the nurse. Assignments may be canceled, even last minute. Travel nursing assignments typically range from 13 to 25 weeks and include a large number of specialties. Much like per diem nurses, travel nurses are hired for just a limited time at a specific location. A travel nurse may go anywhere and everywhere around the country to help fill in the gaps for patients who need them most in hospitals with extended staffing needs. Travel nurses are able to choose between a plethora of travel nursing assignments in various locations throughout the United States for different lengths of time. Typically nurses who travel love this freedom which allows them to choose where and when they want to work. Nurses who love the ability to take off extra time when needed and not be stuck in the same old routine day after day might love the freedom travel nursing jobs provide. Have you ever been stuck working for a company that didn’t quite meet your expectations in terms of management? 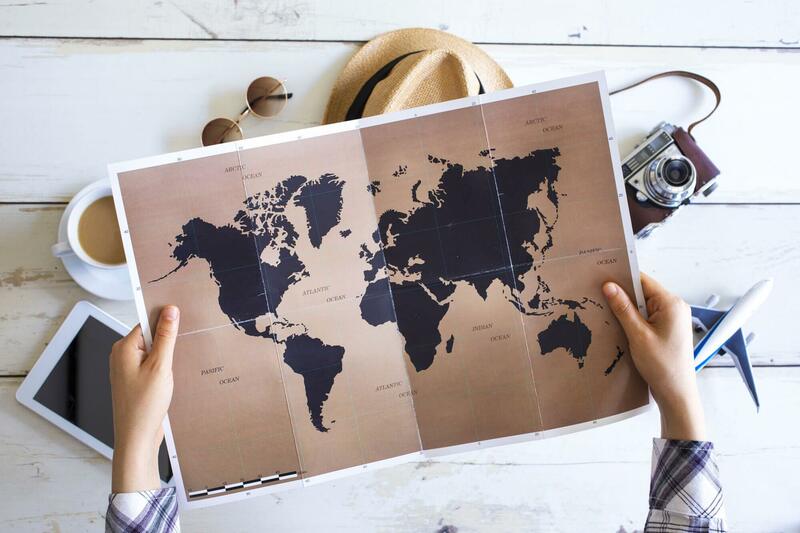 If you were working as a travel nurse, you’d have the ability to shop around and try out different travel nursing agencies and even choose your own travel nurse recruiter for your next assignment. What are the Advantages of Travel Nursing? Travel nurses can decide where they want to live and work. Essentially, working as a travel nurse can feel like being on vacation, all the time. Travel nurses are able to take substantial time off in between assignments. For those looking to beat the weather for a season, they can take a travel nursing assignment in a location with a different climate. Nurses who travel can decide to change locations as often as the contracts allow, or pick up new contracts in the same area or state. Travel nurses have numerous opportunities for personal and professional growth by working and living in new locations. If you’re considering moving to a certain location, working there first as a travel nurse can give you a better idea of how you like it. Working as a travel nurse brings in higher pay than working as a staff nurse, which allows provides for a comfortable lifestyle. Paid housing benefits allow travel nurses to bypass the inflated costs of living in the United States. Unlike per diem nurses, travel nurses enjoy the security of guaranteed hours, which means they are not able to be canceled, or cancellation policies, which allow them to get paid in the rare event they were called off the shift. Travel nurses are often given the opportunity to extend their contract if there is still a need at the facility. What are the Disadvantages of Travel Nursing? Travel nurses do not have as much flexibility in their schedule as do per diem nurses. Usually, travel nurses are required to work the same shifts in terms of every other weekend and holidays, as are staff nurses. If the travel nurse is not satisfied with their nursing staffing agency or management at a hospital, they are still required to complete the duration of the contract. Do You Want to Advance Your Nursing Career and Work as a Travel or Per Diem Nurse? Are you ready to jump into the fast-paced and exciting world of travel and per diem nursing? If so, we can’t wait to speak to you! At Elite Specialty Staffing, we place professionals on travel nursing assignments throughout the United States and hire per diem nurses to work in the states of Utah, Idaho, and Nevada. No matter which type of nursing assignments appeal to you, we’re here to explore options! Take a look at our available jobs today.